atop twin pillars. 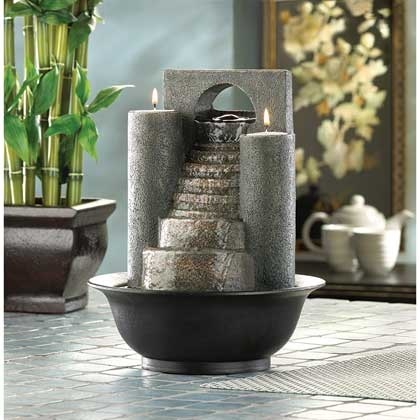 A tabletop fountain to treasure! Item Weight: 2.8 lbs. 8 5/8" diameter x 11" high.